A proud Jamaica Tourism Minister, Hon. Edmund Bartlett, and Director Donovan White accepted the prestigious award. 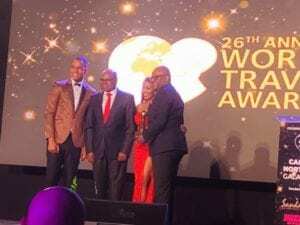 The team at the Jamaica Tourist Board are proud to promote Jamaica’s award winning tourism product, and it shows in the form of this well-deserved award. 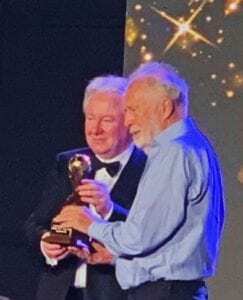 L-R – World Travel Awards Founder Graham Cooke presents award to Chris Blackwell. Chris Blackwell, founder of Island Records and Island Outpost, was honored with the Lifetime Achievement Award. It was a star-studded red carpet evening complete with a gala ceremony. 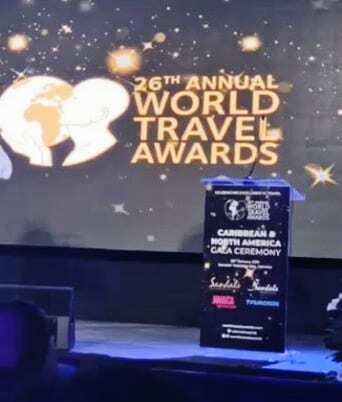 The event marked the opening leg of the World Travel Awards Grand Tour 2019 – an annual search for the finest travel and tourism organizations in the world.